Guillermo (Gil) Echeverria is a management consultant with 20 years of experience in continuous improvement, operations and project management roles in telecommunications, technology services, financial, real estate, retail, electronics, education, workforce development industries. services. As co- founder and co-owner of Istonish, Annette is involved in leading and managing the company. Istonish has employees delivering business and IT consulting services in 6 states and has employed as many as 1000 people in the US and Canada. Current branch offices for sales and delivery of IT Services are located in Denver, Colorado; Cheyenne, Wyoming and Minneapolis, Minnesota. Annette is a Colorado native who was raised in Colorado Springs. Her ethnic heritage is Native American and Hispanic. She attended Colorado State University and graduated with a Bachelors Degree in Chemical Engineering. Annette is married and has two daughters ages 19 and 21.
toward improved bottom lines and increased peace in their work settings, homes, and lives. 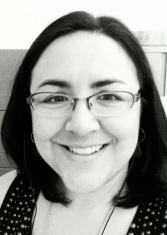 Dr. Angelique Diaz joined the U.S. Environmental Protection Agency in June 2008 as an Environmental Engineer. 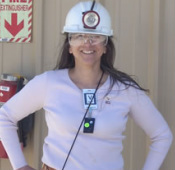 She works in EPA’s Region 8 Denver office; her current role is to implement the program that regulates radioactive air emissions from processes including uranium mining and milling and to provide radiological assistance to the region. Dr. Diaz has as diverse technical background which includes experience in the oil and gas industry, chemical processing, water and wastewater treatment, microbiology, geochemistry, and nuclear science and applied radiochemistry. This experience she gained as an engineer at EPA and ExxonMobil Refining Supply and through her days as a graduate student at the Colorado School of Mines (CSM). As a CSM undergraduate, Dr. Diaz interned with Amoco Production Company and Proctor & Gamble. Dr. Diaz earned a Bachelor of Science in Chemical and Petroleum Refining Engineering from the Colorado School of Mines (CSM) as well as a Master of Science and Doctor of Philosophy in Environmental Science and Engineering from CSM. She has been both the Treasurer and the President for the Colorado Chapter of the Society of Hispanic Professional Engineers (SHPE) as well as a member of the Rocky Mountain Section of the Society of Women Engineers. Dr. Diaz is actively involved in outreach to encourage students to study in science, technology, engineering, and math (STEM) areas and was featured in the Spring 2010 issue of the SHPE Magazine in an article on “Latina Engineers in Government”. Dr. Diaz is a Colorado native and lives in Lakewood with her husband Ted and daughter Irena. Dana Horcasitas Flocken started her Electrical Engineering degree at the University of New Mexico before taking a co-op assignment with NASA Kennedy Space Center as a student. After that, she interned with NCR Microelectronics in Colorado and transferred and finished her degree at the University of Colorado in Boulder. During that time she also interned with AT&T in Denver working primarily in software engineering roles. After graduating she took a position with NCR Microelectronics who subsequently got bought by Hyundai, AT&T GIS, then became what is known today as LSI. She worked as a Product Marketing Engineer while there, and then made a switch to Hewlett Packard where she resides in the HP Storage organization. While at HP, she’s worked in various roles in Workstations, Software and Storage. She currently is a product lead in a support capacity for an enterprise storage group. Early in her career, Dana was president of SHPE in Denver, Colorado. Dana has attended a number of leadership workshops for women’s organizations in Boston and San Francisco and is a huge advocate of supporting other women. Dana is grateful for the opportunities she’s received and hopes to pay it forward. Dana is married, a mother of two boys and resides in Denver, CO.
Mark Hernandez is registered professional civil engineer and attained all of his degrees from the College of Engineering at the University of California at Berkeley. 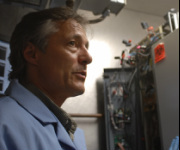 After a post-doc in environmental microbiology (also at Berkeley) and several years of professional practice, he joined the University of Colorado faculty in 1996, where he is a professor in the Department of Civil, Environmental and Architectural Engineering. He also serves as a faculty director of the Colorado Diversity Initiative, which coordinates major diversity efforts among science, math, and engineering departments with a focus on promoting underrepresented students through graduate schools and into the professorate. For more than a decade of this service, he was awarded the President’s commendation for advancing diversity in the University of Colorado system, as well as the 2012 Educator of the Year award from the Great Minds in STEM foundation. Dr. Hernandez maintains an active environmental microbiology research program which focuses on the remediation of polluted air and water. He won the Water Environment Foundation’s Canham Award to support technology transfer between the US and England, and was a recipient of a National Science Foundation early CAREER award, and was this year chosen as distinguished lecturer for the scientific research society, Sigma Xi. 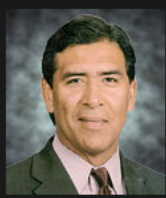 Dr. Hernandez maintains a modest consulting practice, serves as an expert witness in the remediation field, and holds US patents that form the basis of a technology start-up company, focusing on heavy metal reclamation from wastewater; he has over 65 archival publications. He has recently served on two National Academy of Science Committees, focusing on the risk assessment of secure containment for the next generation of Bioterrorism defense research. During his tenure at Colorado, Professor Hernandez has personally mentored numerous undergraduates, graduates and post-doctoral fellows from student groups that are physically disabled or have otherwise been historically underrepresented in engineering education. His academic protégés now hold tenured faculty positions at Yale, Ohio St., and Cornell University in the US, as well as the Danish Technical University, in Copenhagen, and National Universities in Shanghi, China, and Amman, Jordan. Juan obtained a Ph.D. in Science and Technology Studies (STS) from Virginia Tech and a MS in STS and two BS in Mechanical and Aeronautical Engineering from RPI. His books represent an intellectual trajectory of a fundamental research question: how have politics and culture shaped the answers to the question 'what is engineering for?' In the 1990s, he researched how globalization influenced engineering under a NSF CAREER Award titled An Ethnography of Globalization and Engineers in Europe, Latin America, and the U.S. He has also been PI in projects such as Building the Global Engineer; Enhancing Engineering Education through Humanitarian Ethics; and Engineering and Social Justice. Juan has served as member of key advising groups such as NSF/Sigma Xi Committee on Globally Engaged S&E Workforce, NAE’s Center for Engineering Ethics and Society and the IEEE Global Humanitarian Award. He has directed the Science, Technology, and Globalization Program at Embry-Riddle and the McBride Honors Program at CSM. He has been Boeing Senior Fellow in Engineering Education at the NAE and co-editor of the journal Engineering Studies. 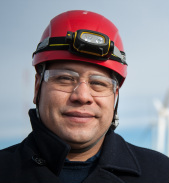 Ismael Mendoza is a test engineer for the National Renewable Energy Laboratory National Wind Technology Center. His area of research is focus in research and development of novel testing methods for small and utility scale wind turbines. He currently sits in the International Electrotecnical Commission Power Quality testing standard development group. After a rewarding 28 year career in the U.S. Air Force I’ve transitioned into the private sector. I”ve joined the the U.S. Fish and Wildlife Service and now serves as their Regional Recruiter. The mission of the USFWS is working with others, to conserve protect and enhance fish, wildlife, plants and their habitats for continuing benefits of the American people. We have over 90 careers to choose from with excellent benefits and a great atmosphere. Yuliana Porras Mendoza joined the Bureau of Reclamation in 2001 as a Chemical Engineer Student Trainee. She currently works for the Research and Development Office as their Advanced Water Treatment Research Coordinator. Yuliana is responsible for coordinating the advanced water treatment strategy and for administering the Desalination and Water Purification Research and Development program. Ms Porras Mendoza holds a Bachelor of Science in Chemical Engineering and a Master of Science in Environmental Science & Engineering from the Colorado School of Mines and Master of Science in Technology Commercialization from the University of Texas at Austin. Her diverse background extends from polymer and membrane chemistry, pilot and testing of various water treatment technologies, and technology transfer. She has held various leadership positions within SHPE at the local Colorado Professional Chapter as well as Regional and National levels of the organization. She currently serves on SHPE’s National Board of Directors as the National Vice-President. Leticia graduated from the University of Colorado at Boulder (CU) with a BS and MS in Chemical Engineering. During her stay at CU, she was actively involved with SHPE. She served as the CU chapter SHPE President and the SHPE Region III Student Representative. After graduating she worked as a chemical / process engineer and project manager for Eastman Kodak Company, FeRx and CH2MHill. More recently she was the process engineering manager for the process engineering group at Abengoa Bioenergy. While at Abengoa she attended the DPA (Director de Proyectos Abengoa) program at Georgetown University. Presently she is on a sabbatical and is enjoying this opportunity as a full time mother of three and wife.She is thankful for the leadership skills and networking opportunities that she gained while actively participating in SHPE. Principal Research Engineer, Medtronic, Inc.
Timothy J. Schaewe is a Principal Research Engineer for the ST (Surgical Technologies) Neurosurgery business unit of Medtronic, Inc. (Louisville, Colorado). Over the course of his professional career he has held positions in both industry and academia with a consistent focus on translational clinical research and academic-industry collaboration. His current work, in partnership with researchers in Biomedical Engineering and Neurosurgery at Dartmouth College, involves the utilization of intraoperative imaging and deformable biomechanical models of human brain tissue to estimate and correct for the motion and distortion of the brain that occurs during cranial neurosurgical procedures. He holds a Doctor of Science degree in Electrical Engineering from Washington University (St. Louis, Missouri) and is a member of the International Society for Magnetic Resonance in Medicine (ISMRM). Lieutenant Michael Scott was born in Blue Island, Illinois, and raised in Markham, Illinois. He attended Southern University and A&M College, and graduated with a Bachelor’s degree in Civil Engineering. He was commissioned in September 2008. Lieutenant Scott reported to the Naval Nuclear Propulsion Training Command, Charleston, South Carolina for education. After training, Lieutenant Scott laterally transferred to the Civil Engineer Corps. Upon completion of the Civil Engineer Corps Basic Officers School, he reported to NSA-Bahrain, where he served as Assistant Productions Division Director (5), Assistant Public Works Officer-United Arab Emirates (4), and Assistant Public Works Officer-Sheikh Isa Air Base (3). In February 2010, Lieutenant Scott transferred to NMCB ELEVEN in Gulfport, Mississippi where he served as the Assistant Charlie Company Commander, Bridge Detachment Officer in Charge/Assistant Officer in Charge and Detachment 2 Assistant Officer in Charge. He is currently serving as the South-East region Accessions Officer. His personal awards include the Navy and Marine Corps Commendation Medal (2). Following careers in health and wellness professions, Lin earned a Master’s degree in Educational Counseling with emphasis on career development and personal success strategies. She was a member of the Employer Relations Team at University of Colorado Career Services in Boulder prior to transitioning to Colorado School of Mines. Assistant Director of the Colorado School of Mines Career Center since 2006, Lin’s goals include facilitating and empowering others to create their own path to success. Whether working one-on-one with students and recent graduates, or through class settings, Lin uses her skills in connectedness, achievement, learner, input, and positivity to assist individuals in developing the skills and an action plan that are steps to a successful and satisfying career journey. Serving all levels from Bachelor’s students to PhD candidates, while interacting with student organizations, Mines departmental faculty, and employers, allows Lin to enjoy her work every day. Life Rewards Purpose is a philosophy by which Matt Diaz lives his life. Matt is a living example of unconditional love with a passion for seeking out and mastering “the impossible.” As a student of personal development with quantum awareness, he is continuously studying the effects and the relationships of the heart and the brain, along with the underlying energy field that connects them with the rest of the whole. He is fascinated by how our thoughts and emotions have direct and indirect correlations on our environment, such as our health, relationships, finances, and ultimately our lifestyle. Matt strives for greatness in every moment of his life and realizes that the more that he can embrace and allow the expression of his own inner light to shine, the more people he is able to impact and immediately help tap into their own inner-greatness, thus achieving a lifestyle of personal excellence. Matt is a 2007 graduate of Colorado School of Mines with a degree in Electrical Engineering and a former SHPE President. Matt is currently the Regional Manager for LegalShield, a 42 year old company that is revolutionizing the legal industry as we know it. Matt has been with his wife for over 10 years and is also a Certified Personal Trainer and runs his own marketing company helping people discover optimal health. Vic Tise is a retired Army Intelligence and Latin American Foreign Area Officer. 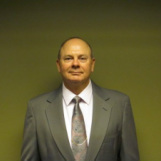 Since leaving active duty he has served as a Senior Engineer, Program Manager, Consultant, Coach and Trustee building teams and conducting end to end project and program management in international data connectivity, strategic planning, and most recently, test and evaluation of homeland defense and homeland security operations. and her Graduate degree MBA (Xavier University) in 2011. Nery works for Tampax on Product Research & Design. In addition, Nery worked on Feminine Care consumer & technical understanding, initiative readiness, Vision & Innovation pipeline. In 2008 she worked for Always as an upstream Process developer. Nery was promoted to Senior Engineer from Web Modeling, Connect & Develop for embossing and printing technologies. In 2006 Nery was a Millstone Product & Process owner.